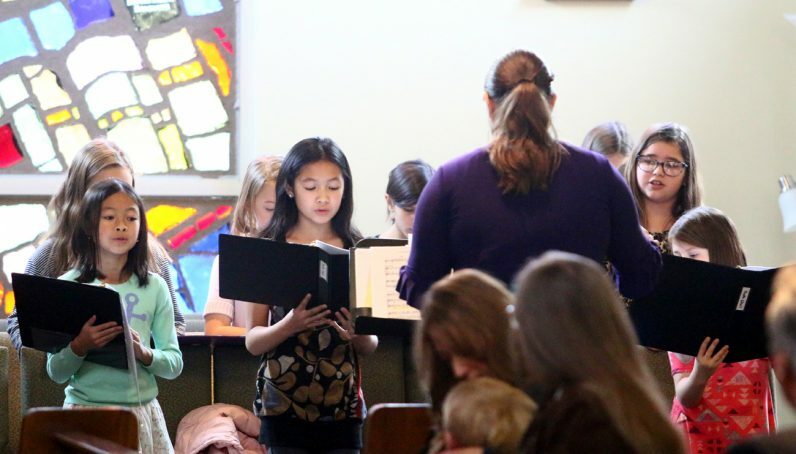 The children’s choir leads the congregation ion song for the liturgy on the First Sunday of Advent. 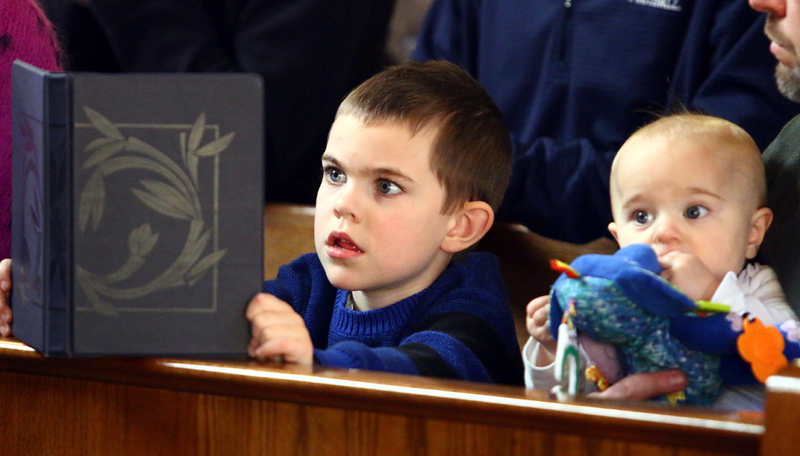 Alex Szymanski (left) reads along while his brother Robert looks on. 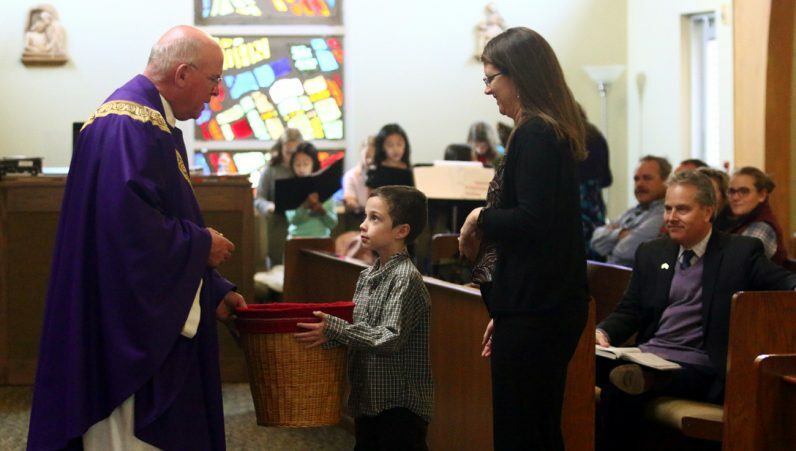 Father Edward Brady receives the offertory gifts. 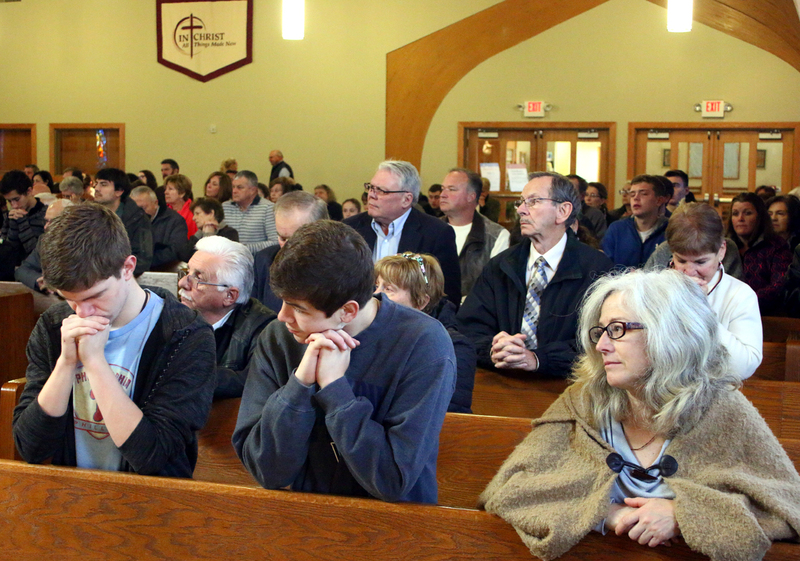 The congregation of St. Thomas More together prays the Our Father at Mass. From left, Megan Collier, Troy Feldman, Carmen Feldman and Deven Feldman pray together. 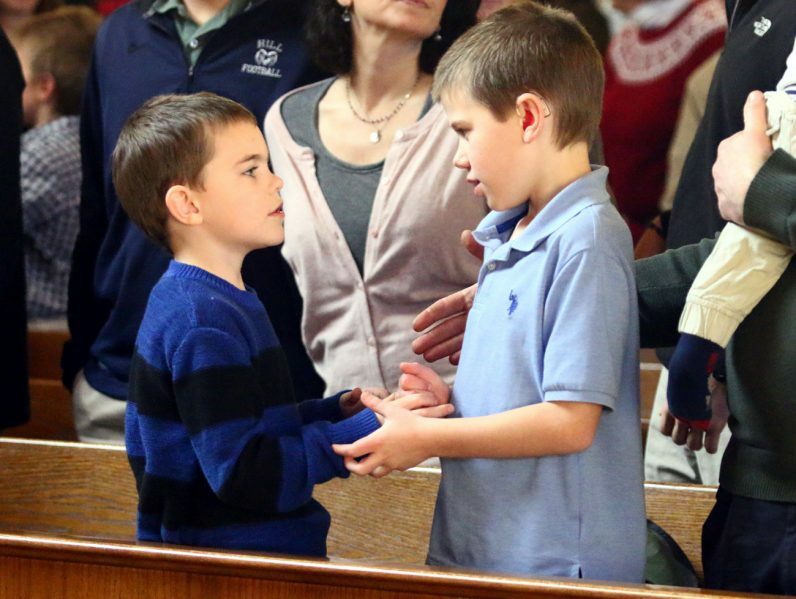 Brothers Alex and Peter Szymanski offer one another a sign of peace. 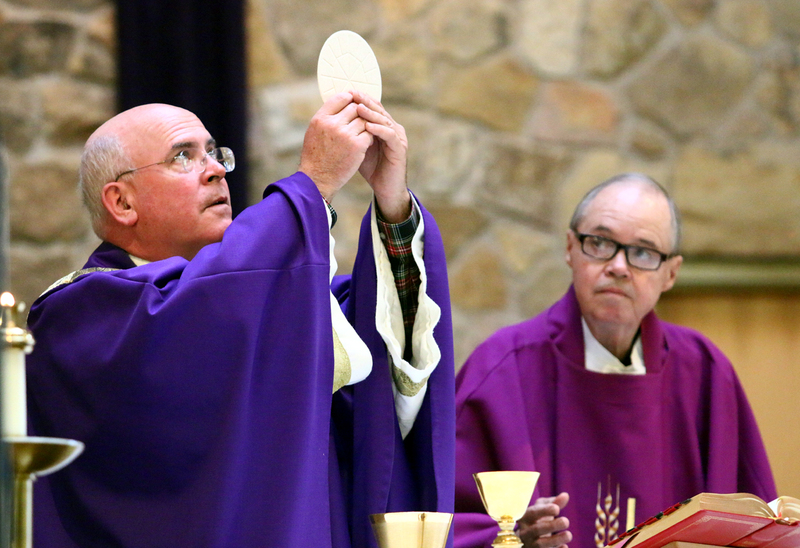 Father Edward Brady, pastor, and Father Hugh Dougherty, pastor emeritus, celebrate the Liturgy of the Eucharist. 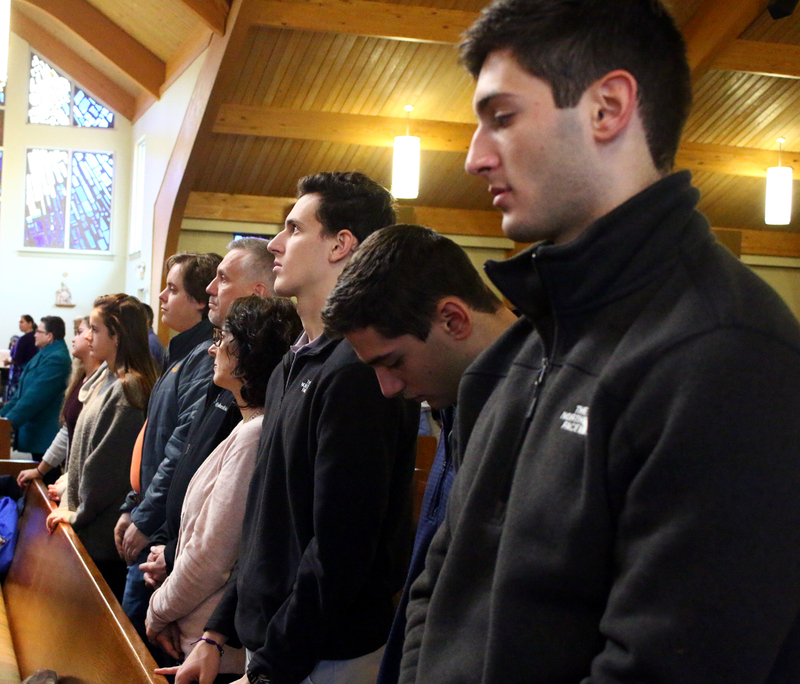 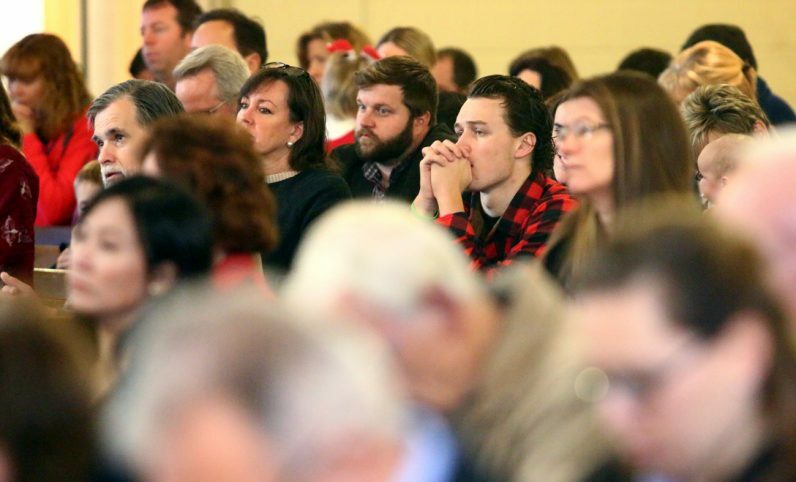 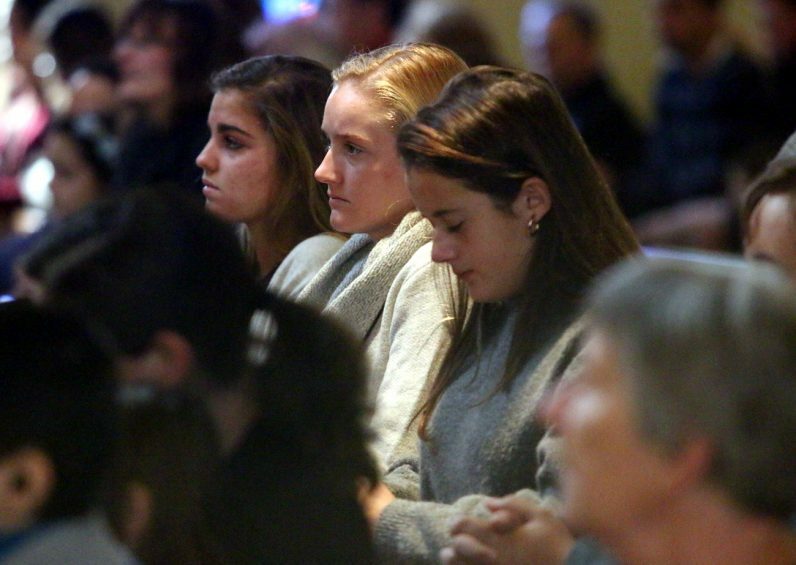 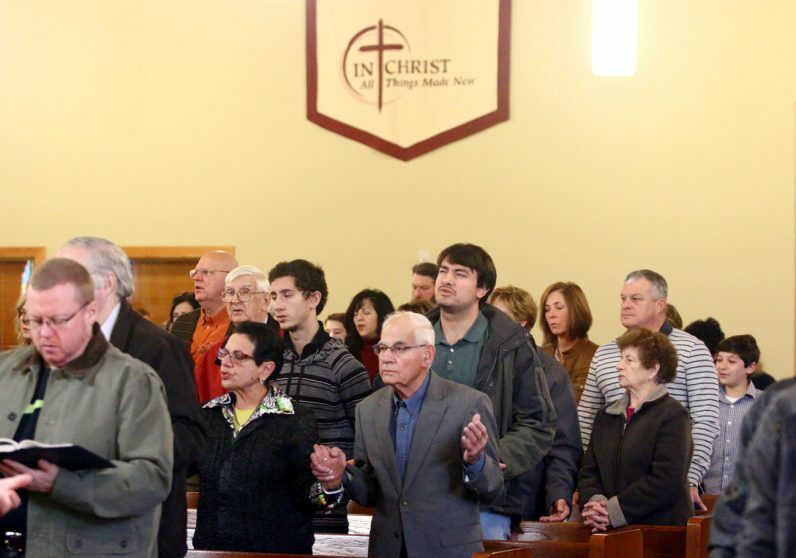 From left, Max, Ian and Carol Donahue pray during Mass. 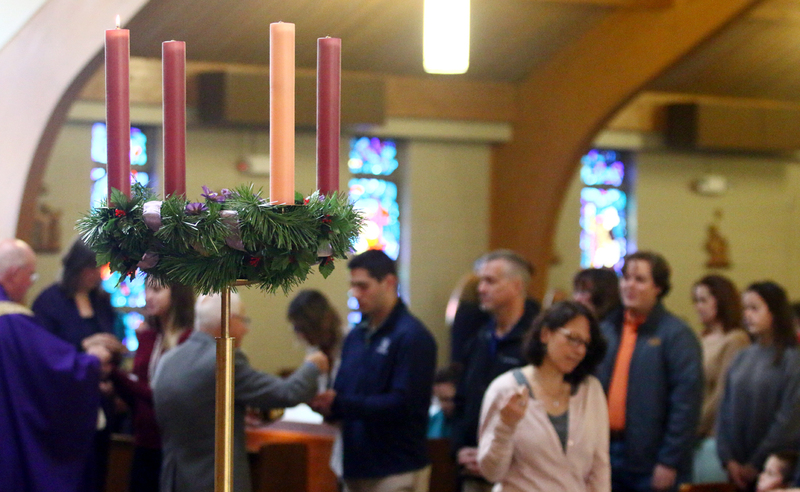 The parish’s Advent wreath reminds people of the season as they receive holy Communion. 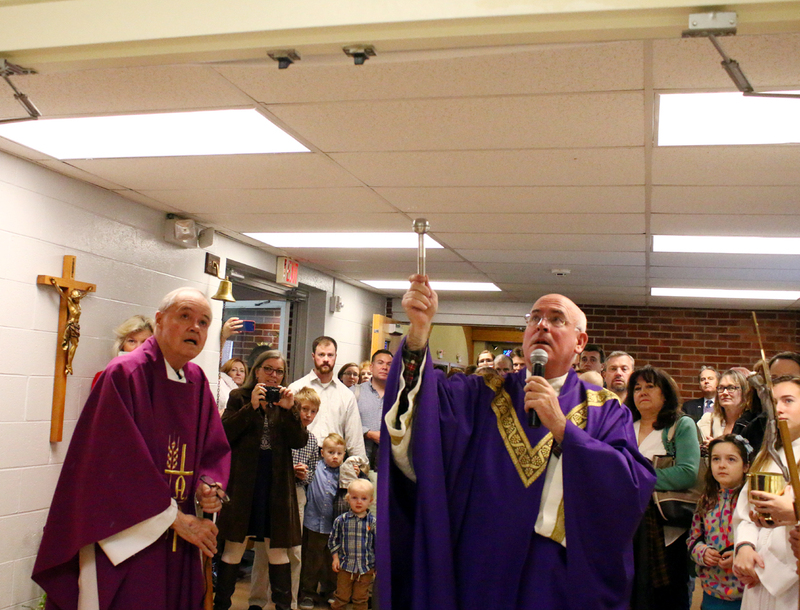 Father Edward Brady blesses the Father Hugh Dougherty Catechesis Center. 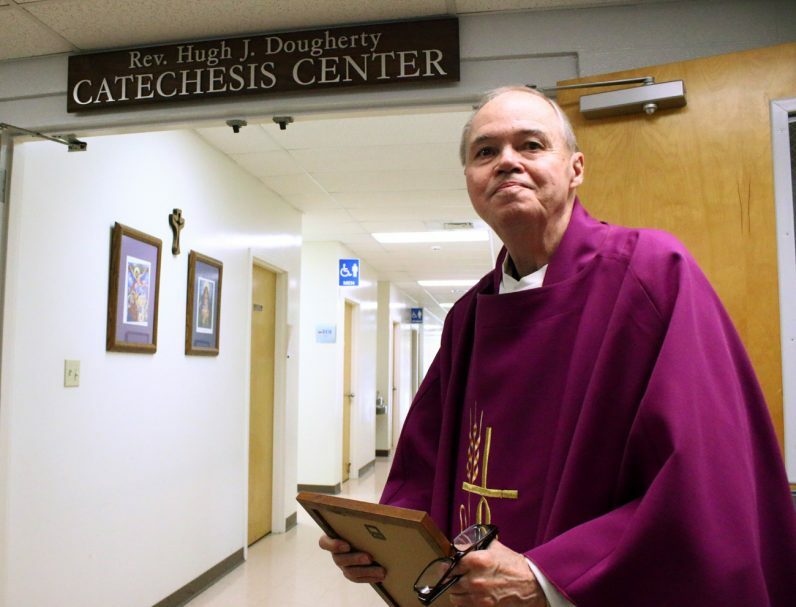 Father Hugh Dougherty, pastor emeritus of St. Thomas More Parish.